After more than 30 teasers and 100 days of online promotions, EXO is finally here to make their mark. Both groups were recently unveiled in South Korea and China on March 31st and April 1st respectively. The first showcase was held at the Olympic Hall in the Olympic Park, Seoul while the second was held in Beijing’s University of International Business and Economics. 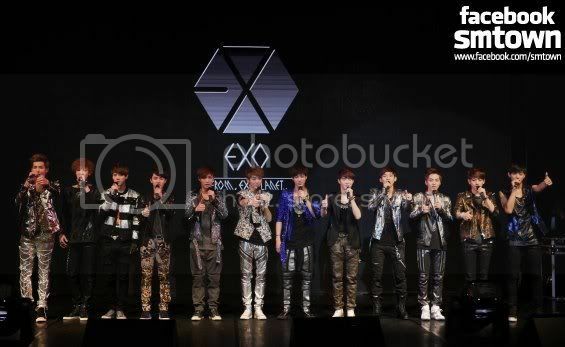 The 12 members of EXOplanet. There were minor variations in both showcases but the most notable was the difference in the seating capacity of both venues. Thousands filled up the Olympic Hall in Seoul while the campus hall in Beijing’s University of International Business and Economics could only house hundreds. It was probably a wise decision on SM’s part to fill up the Beijing venue with more media representatives to ensure a wider coverage for EXO-M. Other than that, they were asked different questions during the fans’ Q&A sessions on both days. The “home” PC focused more on the group’s home country. No expenses were held back leading up to the showcases as promotional EXO videos were played on large electronic displays in the Gangnam station intersection in Seoul as well as the Capital Airport in Beijing. Hundreds of fans were also present at the airport in China when the group landed for their Beijing showcase. One definitely wouldn’t be able to guess that they are rookies in the industry. After successful back-to-back showcases, both groups will be debuting in their home countries with the rumoured single, MAMA on April 8th! EXO-K will be making their debut on this weekend’s Inkigayo while EXO-M will be performing at the 12th Annual Music Charts Awards (the most influential music chart in China) on the same day, in Shen Zhen. 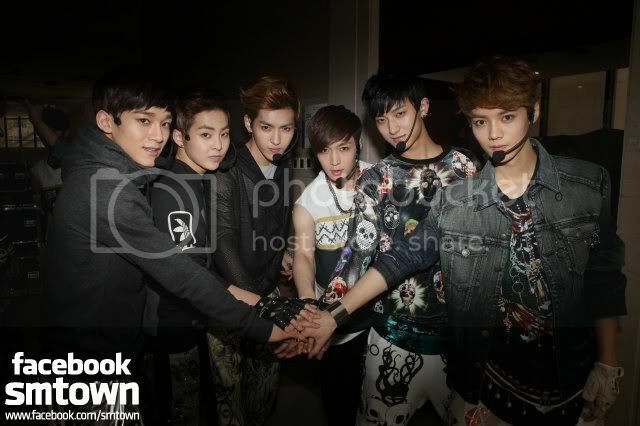 Sneak preview of EXO’s debut single, “MAMA”. In a unique attempt to break into the China market, S.M. 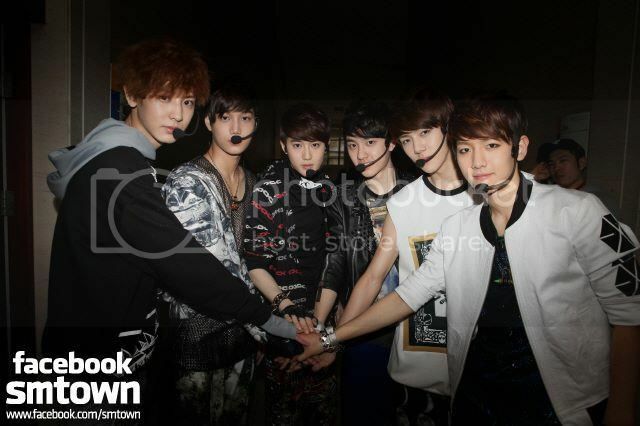 Entertainment has unveiled EXO, a 12-member group which will be divided into EXO-K and EXO-M. While EXO-K will take the usual route of most K-Pop idol groups, EXO-M will be setting their eyes on China instead, making various performances and variety show appearances in China. It’s hip to be K-popped!